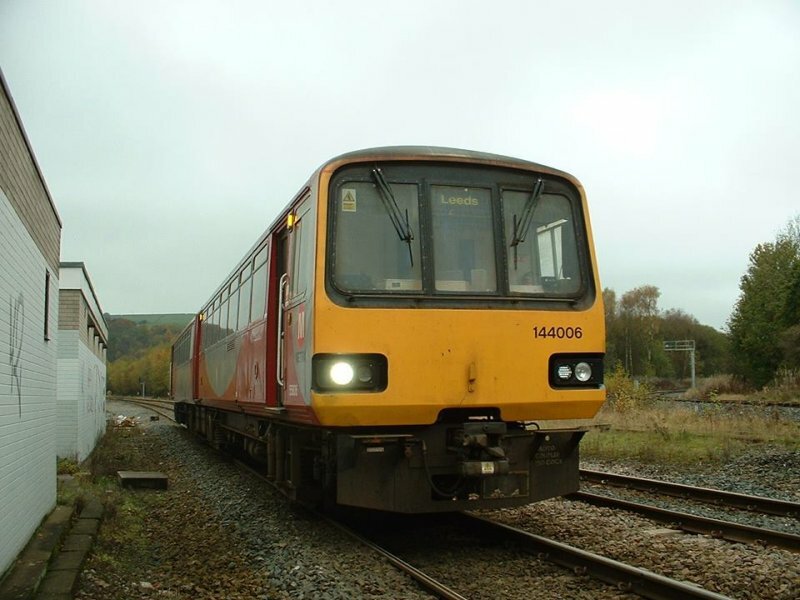 The Class 144 Pacers have been a part of the Northern Rail scene for some time - and could potentially still be so for some time to come, despite the impression that the Prime Minister might be giving out in late 2014! 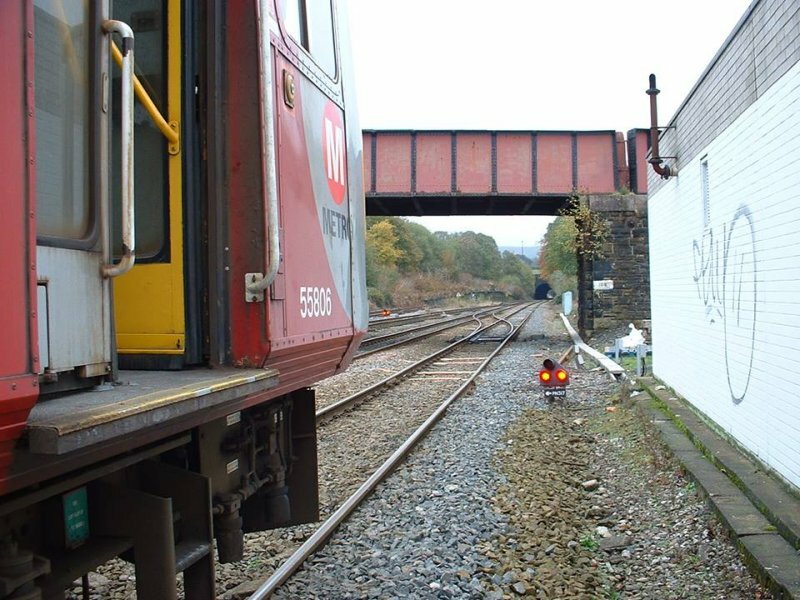 The ability to accurately model one of these trains in the Calder Valley was realised when Realtrack Models launched their remarkable model of one - and in a variety of liveries. Chris Haley has kindly provided a couple of shots which neatly place 144.006 at Hall Royd Junction. Chris notes "The unit is stood exactly where the 19.49 mileage point is facing East waiting to cross over back to Hebden Bridge. As you know, this crossover has since been removed". 144.006 standing on the Up Calder Valley line next to the Relay Room. The line curving away to Stansfield Hall Junction and Copy Pit can be seen to the right. The destination blind on 55806 has already been turned to 'Leeds', and the lit headlight indicates that the train is ready to reverse over the crossover. The camera has been reversed for this view looking east towards Hall Royd Junction and Millwood Tunnel. 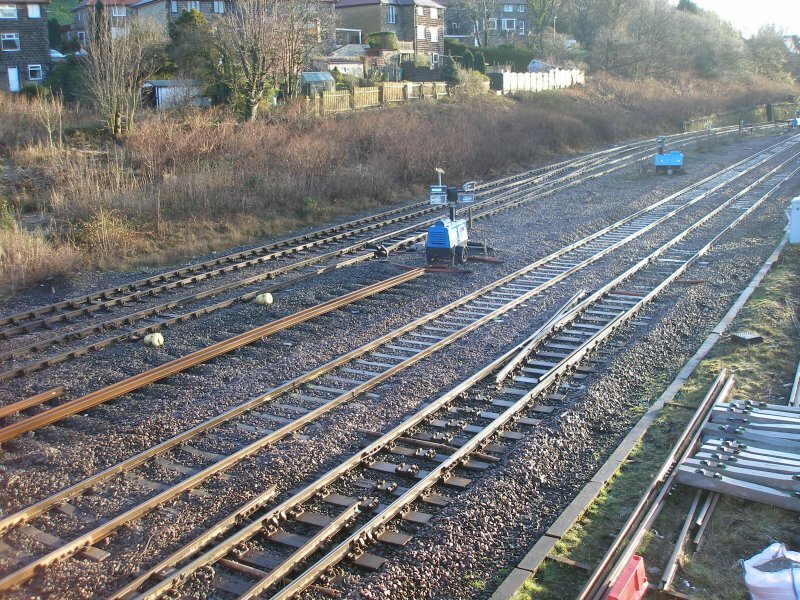 Finally this shot taken on 22 March 2014 shows the crossover in the process of being removed, along with the access to the Civil Engineer's sidings (previously the Down Goods Loop).